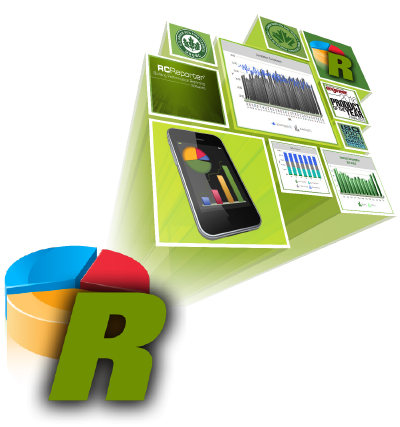 Victoria, BC, Canada – Reliable Controls is pleased to announce the release of RC-Reporter® 3.6. This fully customizable, server-based application allows you to analyze the trend and runtime data from any BACnet®, Internet-connected building, and generate professional performance reports, quickly and accurately. An Identifier Selector drop-down tool automatically appears at the top of any report using a Data Set. The Identifier Selector allows you to conveniently specify a Data Set point to be used in all of the applicable components in a report. This allows you to run a common analysis over multiple spaces without rebuilding your queries. The Ranking component is a new and powerful tool that helps you analyze the highest and lowest values within a Data Set, such as the top ten rooms with the greatest demand for electricity. A new sample report has been added to illustrate the use of Data Sets and the Ranking component showing an analysis of the temperature deviation for several rooms. RC-Reporter extracts intelligence from your archived building data and helps you pinpoint and rank energy-wise and comfort-balancing opportunities to support your continuous optimization strategy.